Anti-tramp bars are a useful addition to a Morgan if it has lots of power and wide tyres. This combination can lead to winding up of the springs under heavy use of the throttle when starting off. These conditions are common to all racing Morgans which is why most are fitted with anti-tramp bars. Current roadsters are also fitted with just one anti-tramp bar which is a bit hard to understand as this puts all the “wind up” stress on the one bar. Peter Mulberry offers well engineered anti-tramp bars in pairs. I made a pair of anti-tramp bars for my racing Plus 8 many years ago after experiencing awful axle hop on hard starts. They were simple to make and totally eliminated the axle hop (and embarrassment). They are still doing their job almost 20 years on. I decided to make a pair for Project Phoenix as the car will have a lot of torque and reasonably wide tyres. As someone who loves to recycle stuff I looked around my shed and found a couple of shock absorber ends and a pair of 1/2” rod ends surplus from our rally car. I bought a length of chrome-moly tubing to connect both ends. Please note that fabricating these bars requires welding skills. 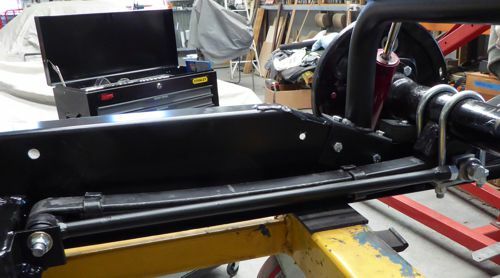 It is also a much easier job to do when the car is at a chassis only stage. 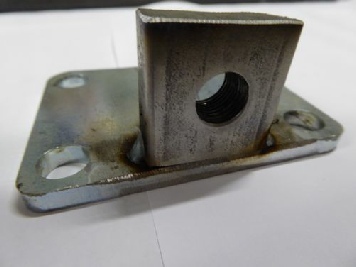 The front spring bolt has been used in this case as it gives very good even support to the end of the anti-tramp bar. There is just the right amount of width for the shock absorber fitting. 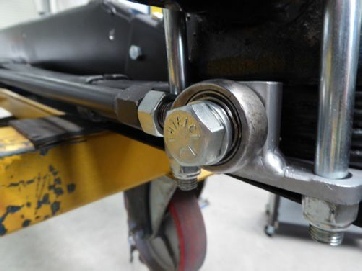 On more recent cars the springs are supported differently and it is necessary to use a longer bolt and hang the end support outboard of the chassis tabs. In this case it is best to reverse the orientation of the anti-tramp bar and have the narrower rod end fitting at the front. 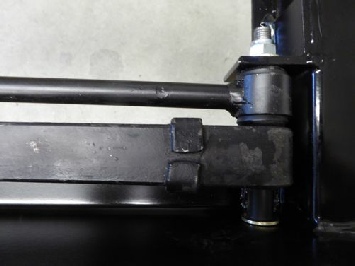 It is important that one end of the anti-tramp bar has a rubber bushing to reduce shock loading which would otherwise result in breakages of the attachment points.